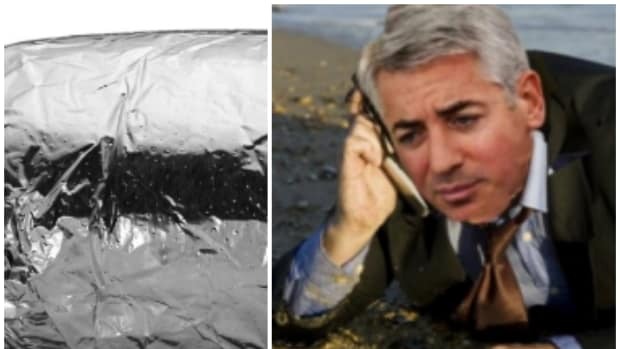 Bill Ackman is hungry for Chipotle and everyone is piling on. 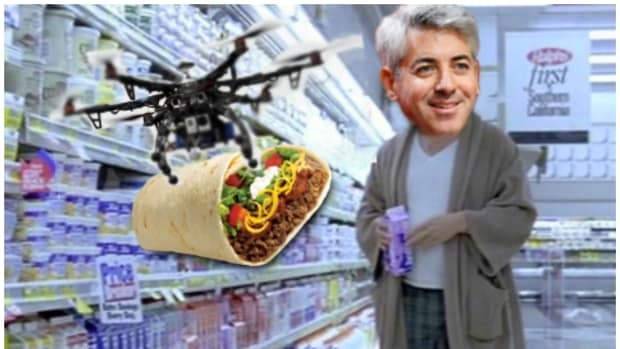 “We are unclear if Pershing Square can add value,” analysts at Baird wrote, a day after Ackman’s Pershing Square bought up a 9.9 percent stake in the burrito chain, which is ailing from multiple disease outbreaks in last year. But there’s a simpler take here: Bill Ackman just likes Chipotle burritos. He doesn’t have some baroque hypothesis for how to wring value out of the company, as with his disastrous investments in Valeant and Herbalife. This one seems different. And that&apos;s not a bad thing. Since Pershing disclosed its sizeable stake in Chipotle late Tuesday, there has been no end of speculation as to what Ackman intends to do to right the listing burrito mothership. Clearly the aging, homogeneous board needs a shakeup, and nearly everyone agrees Chipotle needs to do more than offer free eats to bring back its loyal fans. Another option is selling off company-owned restaurants to franchisees -- something Chipotle has resisted tooth-and-nail. Analysts also noted that Chipotle could potentially improve margins by ditching its half-baked concept restaurants and reexamining its expansion plans. I’m no expert in the restaurant industry. I can’t pretend to know more than the eminent Wall Street analysts who have spent the last 24 hours pouring scorn on Ackman’s move. I don’t know whether Chipotle’s price-to-equity ratio -- 47 times 2017 earnings -- is defensible, or even sane. But I do know how much I love Chipotle. And I suspect Ackman feels the same. 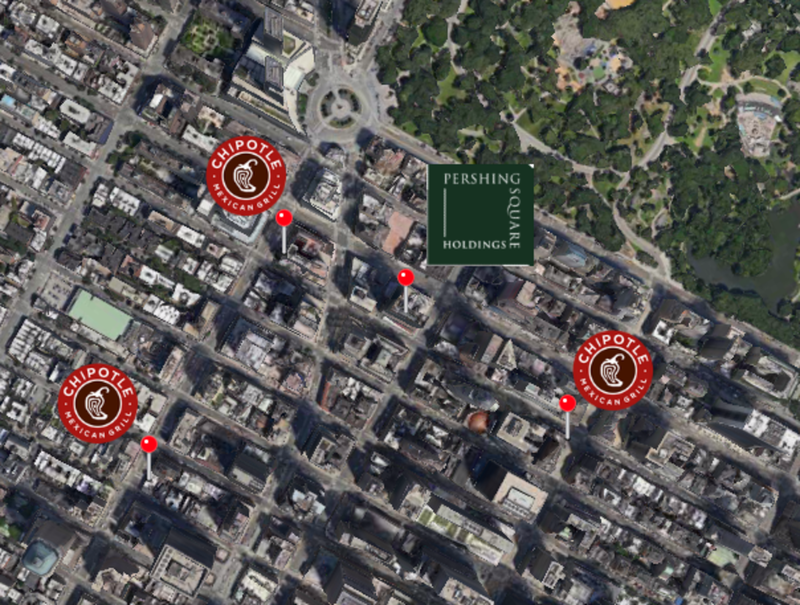 It’s worth noting that Pershing Square’s offices sit within a one-block radius of not just one, but two midtown Manhattan Chipotle locations. Maybe Ackman hasn’t scooped any guacamole -- a la Starboard Capital’s Jeff Smith waiting tables at Olive Garden after executing a coup at its parent company. But it would be a mistake to assume that Ackman hasn’t done some due diligence. And as several analysts noted, the first thing Chipotle needs is to reverse its persistent double-digit sales declines. The first half of the year was indeed painful, with sales dropping 30 percent in the first quarter and 24 percent in the second. It’s not evident when the bleeding will stop. But investors can look back on some notable precedents that in retrospect look as bad, or worse, than Chipotle’s ordeal. In 1993, Jack in the Box meals infected more than 700 people with E. coli. Four children died. The stock tanked for a few years, the company sued its distributors, and investigations proliferated. By the turn of the millennium the stock was up fivefold from its lows. Taco Bell had a similar scare in 2006, when 71 people fell ill, evidently from the lettuce. Two months later a sensational video showed surfaced, showing rats gallivanting around a New York location. It only took four quarters -- and an aggressively discounted new menu -- for sales to turn around. It’s clear that Chipotle’s problems are bigger than a few wayward bacteria. But as far as Ackman calls go, this one seems hopeful. He’s not following some intricate hunch. He’s not even following his heart. This is a gut call.